5,000th DAF truck produced in Taiwan - DAF Trucks N.V.
DAF Trucks is experiencing impressive growth in Taiwan. The 5,000th truck has rolled off the assembly line less than ten years after it opened in Dadu. With a market share of almost 30% in the 12 ton+ segment, in Taiwan DAF is the undisputed market leader among non-Asian truck brands. Picture: The 5,000th DAF truck built in Taiwan — in the foreground — is delivered to the Asian paper giant Shan-Loong. This is already the 115th DAF truck for the listed company. This DAF CF 85.410 tractor unit will be used to transport raw materials for the paper industry. Every week, DAF Trucks ships components for the popular LF, CF and XF105 series from its factories in Eindhoven and Leyland to Taiwan, where its partner, the Formosa Plastics Group, assembles around four trucks per day. All the vehicles are powered by highly reliable and economical Euro 5 PACCAR engines. Two years ago, the ultramodern assembly line in Dadu was expanded significantly to meet the growing demand for DAF trucks in Taiwan. "The quality of the DAF trucks assembled in Taiwan is at the same high level as the trucks that come off the production lines in the Netherlands and the UK", says Geert van Genugten, who is responsible for sales into south-east Asia at DAF Trucks. "The 5.000th Taiwanese DAF truck is a CF 85.410 tractor unit which will be used to transport raw materials for the paper industry." "Costs per kilometre set the industry standard"
The unmatched quality, combined with low fuel consumption is valued highly by the Taiwanese transport operators. "The excellent reliability and low costs per kilometre of the DAF trucks set the standard in the industry", is how Wilfred Wang, President & Director of Formosa Plastics Group, explains DAF’s success in Taiwan. "In addition, a tight network of DAF dealers has developed in a short time on the island, offering top-quality service and parts supply." Richard Zink, Director Marketing & Sales at DAF Trucks has seen how the Taiwanese truck market has taken DAF to its heart: "We are truly proud of our partnership with the Formosa Plastics Group. Together, we are building fantastic trucks that exceed the customer’s expectations. 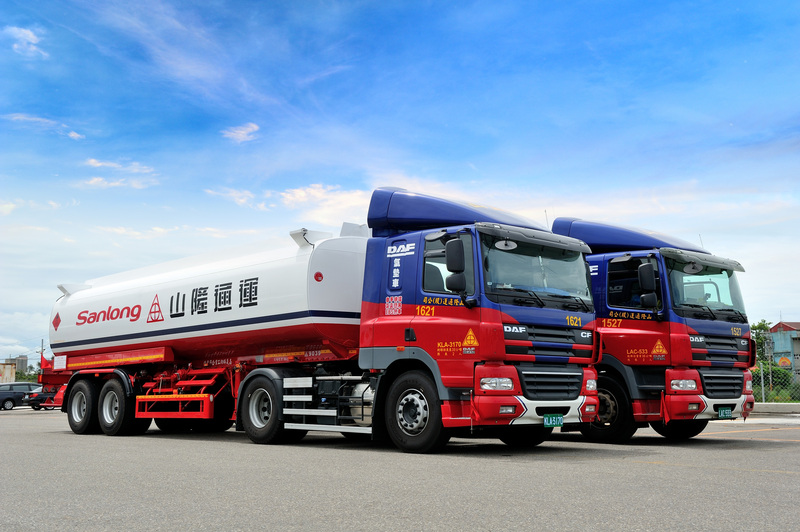 More and more renowned Taiwanese transport companies are choosing DAF. Just like in the rest of the world, they are consciously opting for our DNA: unprecedented quality, low total cost of ownership, highest uptime and industry-leading comfort for the driver."